Dear lord that's a lot of Yeezys. Andrew Hawkins has had enough of the Yeezys. 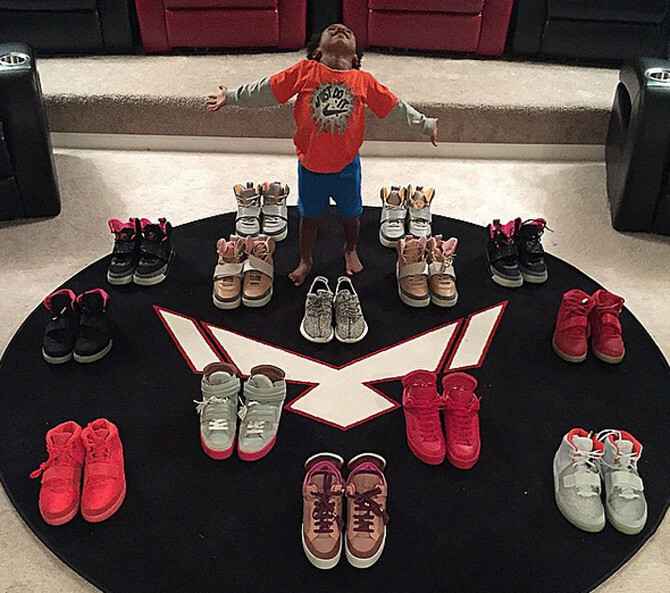 The Cleveland Browns wide receiver is selling off his entire collection of Kanye West sneakers, shown above. He doesn't mention a specific reason for getting rid of the shoes, saying only "Its [sic] time lol." The sneakers range in sizes from 9.5 to 10.5. His Yeezy collection covers an impressive range of brands and silhouettes, from Kanye's Nike line, to his Louis Vuitton stuff, to his more recent adidas Yeezy 350 Boost. Anyone hoping to grab a pair can hit Hawkins on Instagram for details.